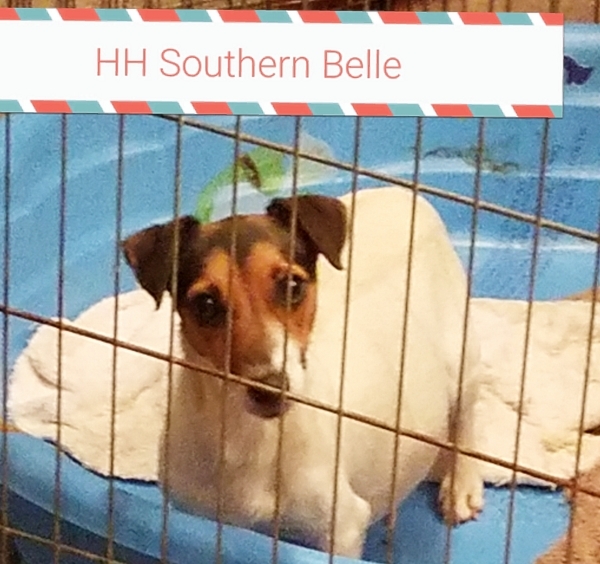 Belle is a daughter of two dogs formerly owned by Hobbit Hill. Both went to the Lazy C Ranch in Texas and Belle came back to be our chosen one from that magical cross. She has just produced a beautiful litter of American Hunt Terriers sired by Hobbit Hill Taz Terrific. We hope to have a litter of JRTs in 2018.